"The Blue Elephant is a wondrous children's book full of insight, discovery, and compassion. It deals with a young person's grief in a way that explains the confusion, sadness, and self-doubt that occurs in all of us. Joy's journey of self-discovery realistically deals with a child's dread of being different and the insecurity of her place in the world. It's heartfelt with a touch of magical interpretation." "The Blue Elephant is a beautiful story that helps children to make sense of their emotions after experiencing the death of someone they loved. The story demonstrates how sadness and joy can coexist in one's feelings and that the essence of life is found in hope. This powerful, yet simple story of Joy's journey through sadness helps children to understand that grief is a normal process and, by allowing themselves to experience their emotions, leads to greater understanding of their unique purpose in life." "The Blue Elephant is a delightful story of how our sense of being different can lead us on a journey of self-discovery, friendship, loss, and giving back. Regardless of our age, Joy and Hope are companions who can support us on our journey through life." "The Blue Elephant is a beautiful story of discovery and purpose in the midst of a confusing world. A story that encourages readers of all ages to remember that while there is sadness in every life, there is also hope and from hope joy can spring." "The Blue Elephant is a whimsical book and is beautifully illustrated in watercolor. It's a story of how young friends can help each other in times of grief, and find a sense of purpose in doing so. It's a sweet and gentle book on learning life lessons." "A lot of research supports the idea that our basic frameworks for life are set by age ten. Children's books matter. Good children's books matter more. Elizabeth Liechty has written a good one. I grew up in an age when 'different' often carried any negative connotations. Different skin color. Different race. The Blue Elephant is an endearing and sweet tale that might modify some of our kid's basic frameworks for life. I like it because Elizabeth is not a professional writer. She's an amateur, a word we get from the Latin amator and the Italian amatore—lover. 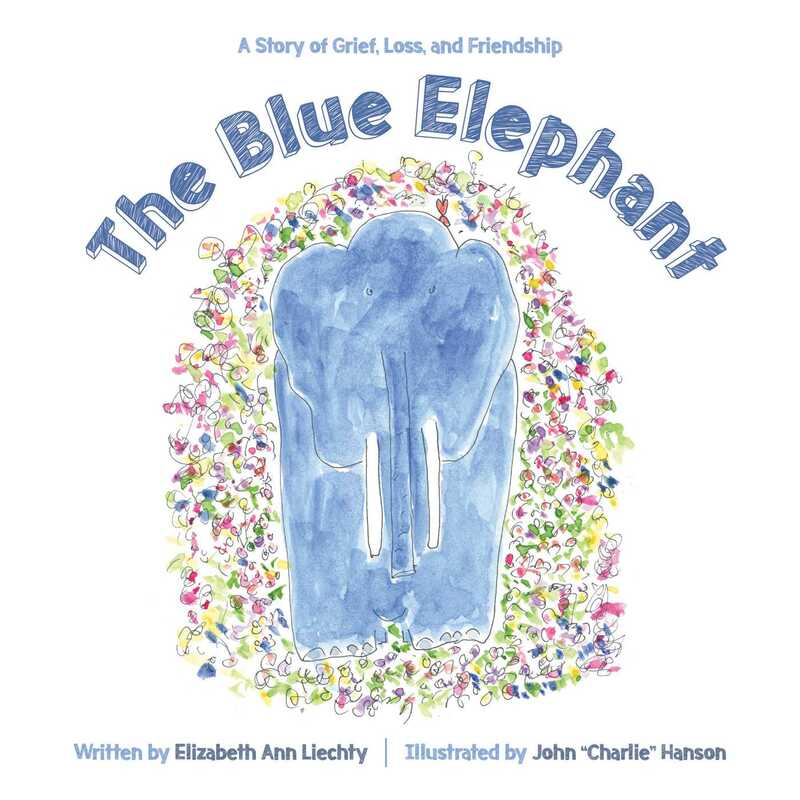 Elizabeth wrote The Blue Elephant out of love for kids. But don't feel bad if you like it as well. I did—and I'm well past the age of ten!." "This sweet and heartfelt story demonstrates the power of friendship, and how learning to cherish our uniqueness can result in our making a deep and lasting difference in the world." "A blue elephant named Joy and a butterfly named Hope—what else could any child want? But there's more—the insight that no matter what color you are, you have a unique purpose, something no one else can do. This book will charm you, make you wiser, and, yes, give you hope and joy."